I ran into my friend Tom at the local coffee shop. He is a new retiree so I was interested to hear what he has been up to. Among other things, Tom mentioned he was considering converting his two neighboring single-family rentals into a youth hostel. His goal is to create Sacramento’s version of the Hawthorne House a sustainable hostel in Portland, Oregon. 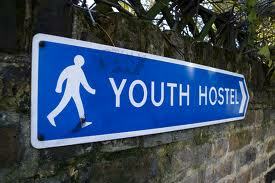 Youth hostels are places that offer friendly, inexpensive accommodations to young travelers. They are meant to be hip hotels where young explorers of different cultures meet up, share rooms and common living areas. After looking into the idea, I think it’s really good. I’m adding it to our $100 Idea Matrix under the “Active Landlord – Active Tenant” category. Click here to see an updated $100 Idea Challenge Matrix. 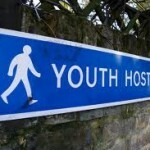 What’s the benefit of creating a youth hostel? Currently, a 2 bedroom 1 bath house in Tom’s area rents for around $895 per month according to padmapper.com. That’s roughly $1,800 monthly gross for the two homes. If Tom converted his rental homes into a youth hostel and placed two bunk beds in each room, he would have a total of eight beds. Now, if he was able to rent each bed for $25 per night and had a 50% occupancy rate, he would gross $3,000 a month. That’s a $1,200 difference! In fact, operating as a youth hostel beats the traditional house rental business as long as Tom had three customers each night. Hostels have established networks and numerous referral websites for Tom to join, so filling three out of eight beds each night seems doable. The transformation from single-family homes to hostel is also an equity boosting play. When he wants to sell, he should be able to sell for three times his annual business gross PLUS the value of each home. Now that’s wealth creation at its best! How about you? Could you associate a business with your rental and double your income? Leave a comment and share your innovative idea. It’s usually difficult to change the zoning to allow such a major change of use. In some inner city neighborhoods, it’s possible. Most single family zoning codes expressly forbid this. Tom is in the inner city, but you’re correct. Gotta check zoning, but the concept is still really good. Points out that there may be other and more profitble ways to operate your rental property. You’re forgetting the cost to run the hostel which would easily exceed the $1200 price difference. you can’t make money on eight beds. If he wants to do it for the fun and not worry about the time he spends managing the hostel, marketing the hostel, washing sheets, cleaning bathrooms, paying for expenses, then yeah, it can work if the zoning is ok but as you will most likely find the zoning will not permit such a business. Definitely check out couchsurfer, very tight self regulating association of travelers. Have to go through background checks and have to give references. Also if anyone abuses any policies they are kicked out. Kinda like a section 8 for hostel goers.